We’ve been receiving quite a few phone calls and emails for support of late after the threatening letter from the media bullies. One came through this afternoon Kim Robinson who wrote, “I have emailed Buddle Findlay informing them that they have until 5pm tomorrow for their clients to provide 100% captioning on their streamed services or face human rights legal action. Their actions are a direct threat to NZ’s Deaf/Hard of Hearing consumers who rely on captioning to access stream tv/movie content. I am a seasoned Human Rights advocate who has previously taken major telecommunications companies, Cinema’s etc to the Human Rights Commission with successful outcomes. I’ll be quite independent in this course of action. I don’t represent any organisations or groups. Happy to work with you to assist protecting this current asset that’s benefiting a group of NZers who are already disadvantaged by those companies trying to block what you’re offering. His latest blog post about accessibility is below and available for republication under the creative commons licence. It follows a trend that was picked up by Russell Brown on his public address blog. Jonathan Mosen writes that “All of the companies taking this legal action have shown scant regard for the ability of blind people to access the content they offer. Let’s shine a bit of long overdue light on their shameful performance. Spark offers a video on demand service called Lightbox. Its site is useable by an experienced screen reader user with certain browsers, but it couldn’t be described as universally accessible. Lightbox offers none of its programming with audio description, the additional layer of audio that tells a blind person what’s happening on screen. Audio description is to the blind what closed captioning is to the Deaf. Kim says that by axing the global mode access, they’re axing the very tools that this sector group depends on to view legal accessible content. It makes it even worse that these companies taking this action doesn’t provide that access themselves. This automatically changes the political and legal landscape when this kind of action infringes a basic human right. When there’s a restriction on gaining accessible material legally in NZ, this creates a risky situation where a person who wants to be able to follow the content to download a copy of pirated accessible content when it’s access is available legally in countries like USA, UK. These companies greatest excuse is the cost of upgrading their technology to allow such functions to serve us with one company quoting $3-5million to set up captioning access. 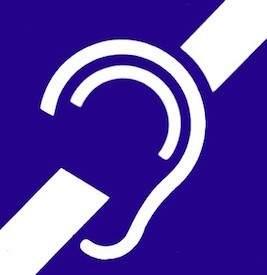 With Stats NZ indicating there are over 300,000 New Zealanders who are Deaf/Hard of Hearing requiring accessibility daily. By providing accessible content, this increases revenue opportunities for companies that make their services 100% accessible. The long term benefits of providing the access now enables increased revenue opportunities outweighs not providing the access. The actions of those companies have mounted a serious attack on this basic human right through their selfish actions of ‘protectionism’ of their serving their own market needs. Remember their attack on Netflix over not paying GST on their goods? These companies have been hard at work protecting their territory at all costs. If the threat of legal action against BNS and the Global Mode product is carried out, this will automatically trigger a course of Human Rights action. This becomes the perfect flash point to protect the very fundamental right to access accessible legal content in today’s technical age.